SAN JOSE, Calif. (KGO) -- Christmas came early Thursday at the Santa Clara County Sheriff's office in San Jose. 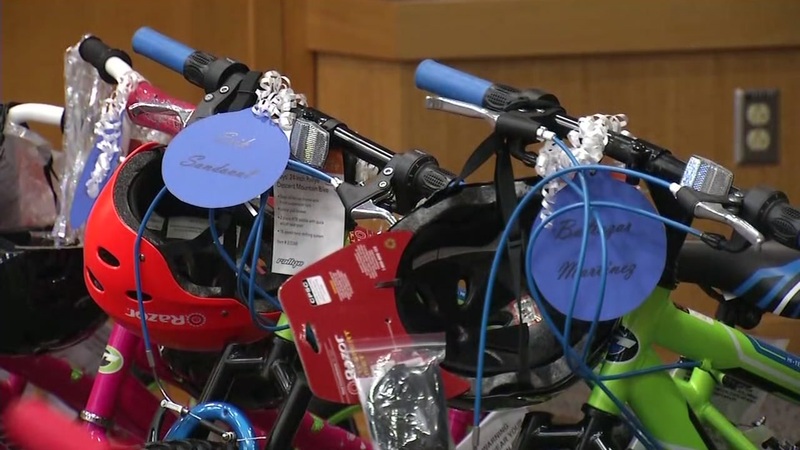 Bicycles and helmets, 26 in all were gifted to local children chosen from three elementary schools. "This is like Christmas," said Santa Clara County Supervisor Mike Wasserman. "This is an opportunity for us to do good, to collaborate with the schools and build a relationship between law enforcement and the students." Toys R Us and the Global Children Foundation donated the bikes.